Well-designed window fashions do more than simply cover a window. Hunter Douglas window coverings combine both form and function with style. Great design is beautiful to live with, provides variable light control, insulates rooms against heat and cold while saving energy, protects your furnishings from damaging UV rays, and even absorbs sound improving the acoustics in a room. And, Hunter Douglas proprietary operating systems make using their products a pleasure every day. Hunter Douglas has advanced operating systems that make using their products easy, efficient and all systems address the child safety hazards associated with cords. 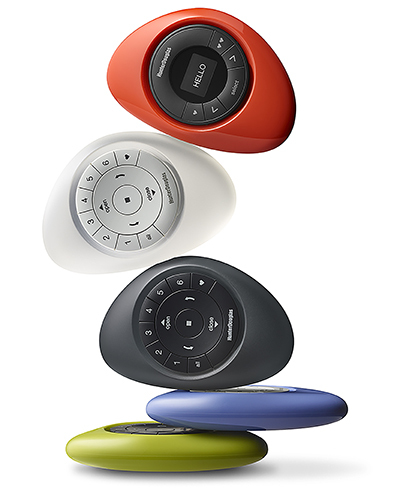 Most Hunter Douglas window coverings are also available with their PowerView option that allows you to operate your shades from a remote control. Add an affordable Hub and now you can use your remote, smart phone or tablet. The Hub also gives you the power to create opening and closing schedules for an individual shade or an entire room. 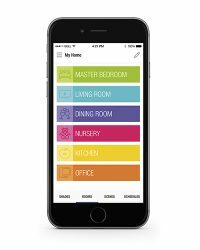 By creating these scenes in your App, you are adding additional security to your home giving you peace of mind while you are away for the day or away from home for an extended time. The PowerView system is both practical and affordable! Please click Hunter Douglas logo to view their full product line. Hunter Douglas Product Photos & Video courtesy of Hunter Douglas Inc.
Maxxmar is a family owned, Canadian manufacturer, committed to innovation in the window covering industry. They have set themselves apart from the competition, with 60 worldwide product patents and their investment in state of the art manufacturing equipment. 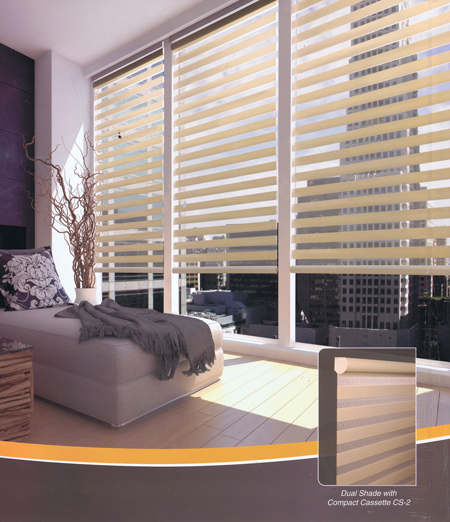 Maxxmar’s product offering includes Roller Shades, Screen Shades, Faux Wood Horizontals, Sheer Horizontals, Dual Striped Shade and both a Polymer and Wood Shutter. Their latest innovation is a rechargeable wand system to raise and lower your shades. Touch Button Operation, eliminating hazardous cords, without the expense of a powered blind. The rechargeable wand eliminates the expense of replacement batteries in the future. An easy solution for child safety! Please click here to view MAXXMAR product line. Maxxmar Product Photos courtesy of Maxxmar Window Fashions.